Today's post comes to you from my lovely friend Emma! Hi Steph's followers! 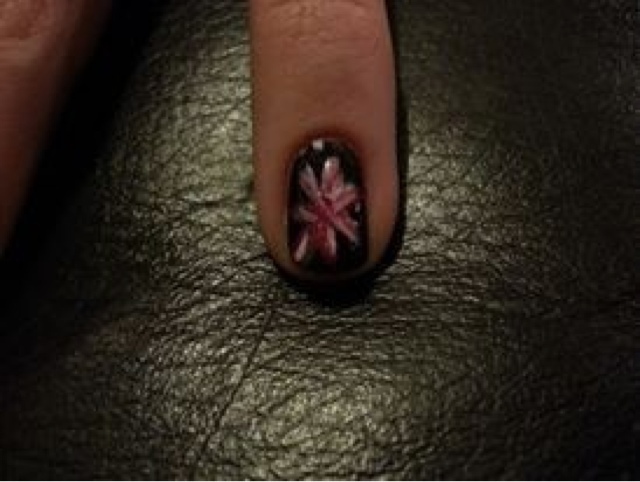 When Steph asked if anyone wanted to do a guest post to participate in the Valiantly Varnished quirky nail art challenge I was feeling pretty creative and after a long day at work I decided to give it a go. So here we are at day 20, your favourite season. Now all 4 seasons are pretty awesome to me so there stood the first challenge in itself, which to choose?! After much careful consideration whilst watching bake off I've gone with winter, mainly due to the fact I'm loving wearing boots and jumpers again 😊 that's not to say I don't love a bikini too, but hey I've been in sandals for 5 months now it's boot time! 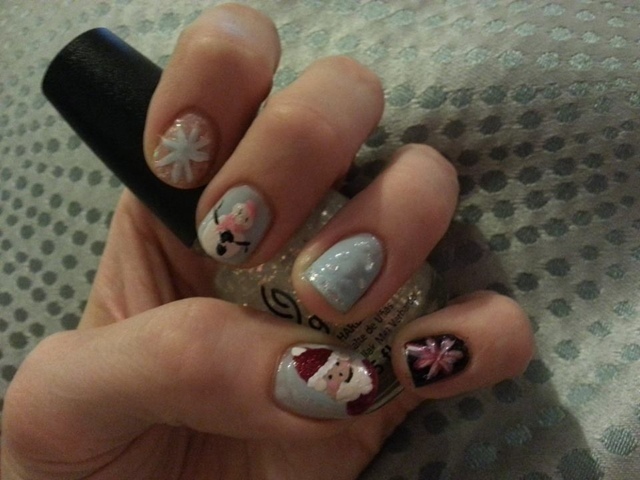 So my 5 nails are 5 things to me that say winter to me. Number 1: the one the only, it's Santa! 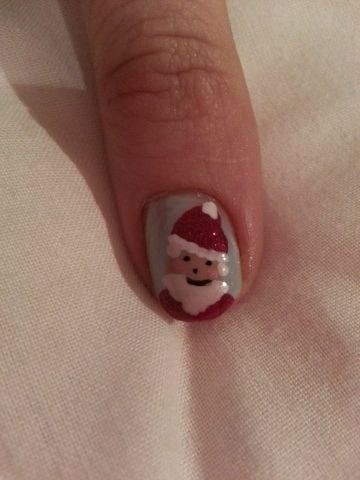 The big fella is the ultimate man in the winter season, and an obvious choice for a winter nail. 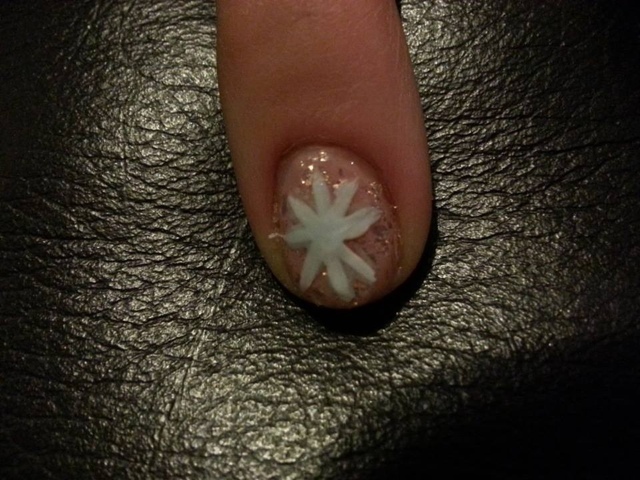 Number 2: a snowflake. The last few winters we've had some decent snow here in London, and there's no better winter scene than freshly laid snow. I always think the world looks so peaceful when the snow is untouched! 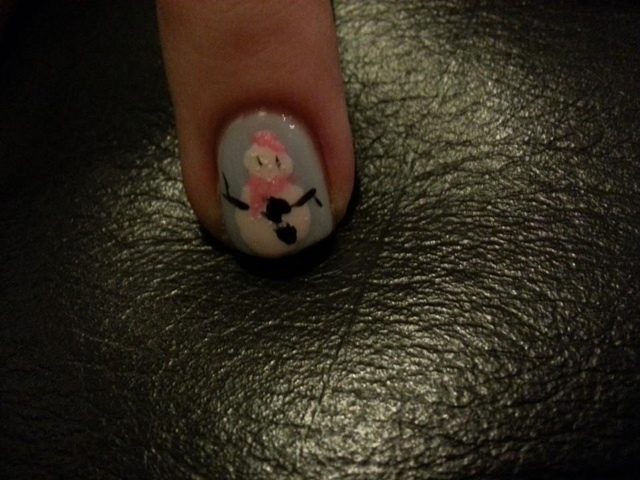 Following on from that is number 3, who else but a snowman?! Well actually a snow lady who I have named Elizabeth. Maybe this winter I'll actually make Liz a reality! 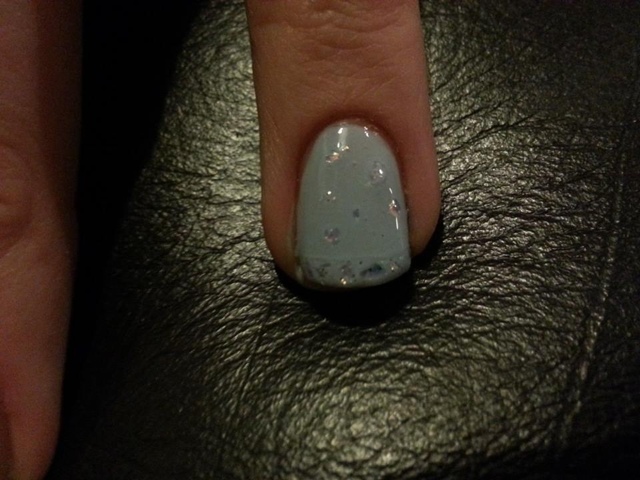 Number 4: falling snowflakes. This reminds me of being stranded in new York this year and it starting to snow, the snowflakes were so beautiful. Rounding off the winter theme is a New Years firework at number 5. I just adore watching the London fireworks at New Years, particularly 2012's show which rounded off a great year to be British. I used Barry M Blue Moon, China Glaze Luxe and Lush, China Glaze Ruby Pumps, Nails Inc Mayfair and an assortment of striper polishes that I got from poundland. Doing this mani has reminded me why I love Ruby Pumps so much!